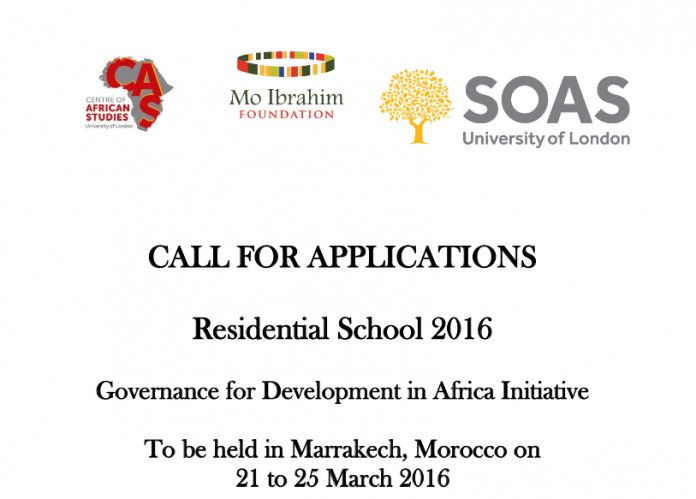 The annual residential school on governance and development is part of the Governance for Development in Africa programme that we at SOAS run in collaboration with the Mo Ibrahim Foundation. This initiative aims to contribute to and stimulate debate on governance, development, and the relationship between them. About 20 participants from a range of African countries, and representative of the academic, civil society and government sectors, are selected each year to take part in the residential school. All cost for successful applicants, including economy flights, visa costs, accommodation and meals, will be covered.